Helen Young and Anne Radday represented Tufts at the Sudanese-American Collaboration Forum on Higher Education and Scientific Research. Delegates explored ways to promote partnerships between American and Sudanese universities. Helen addressed the delegates (see photo) describing Tufts’ partnerships with several Sudanese universities, including Ahfad University for Women, University of Zalingei, and University of Gardarif. 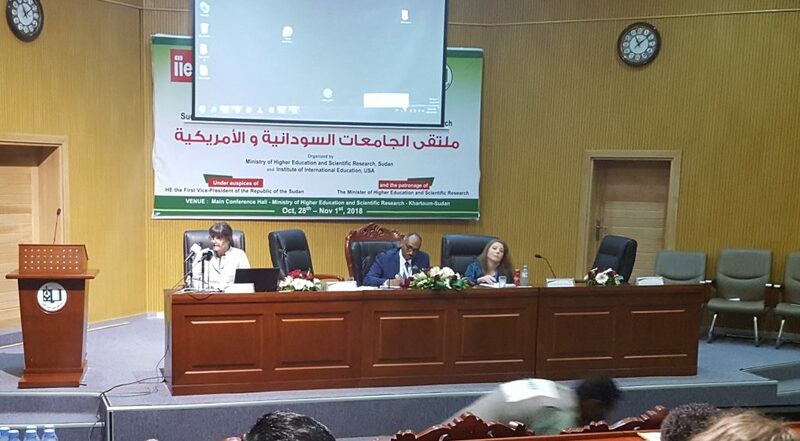 The forum was hosted by the Sudanese Ministry of Higher Education and Scientific Research.